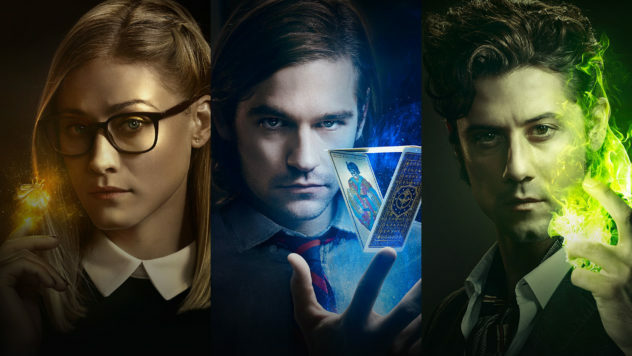 Hello Frequent Flyers and Welcome Aboard our 56th episode, The Magicians. FF, you and I both know that magic is real. SO what if we’re becoming socially isolated, retreating further and further into a fantasy rather than face the cold hard light of day – that’s the American (Canadian) Dream. Ok, so what if magic is real. And you can totally pass the test to get into the sickest post-grad of all time, Breakbills University. Worth it, right? So what if you accidentally summon a weird moth-face monster that devours your principle. Wacky Hi-jinx.